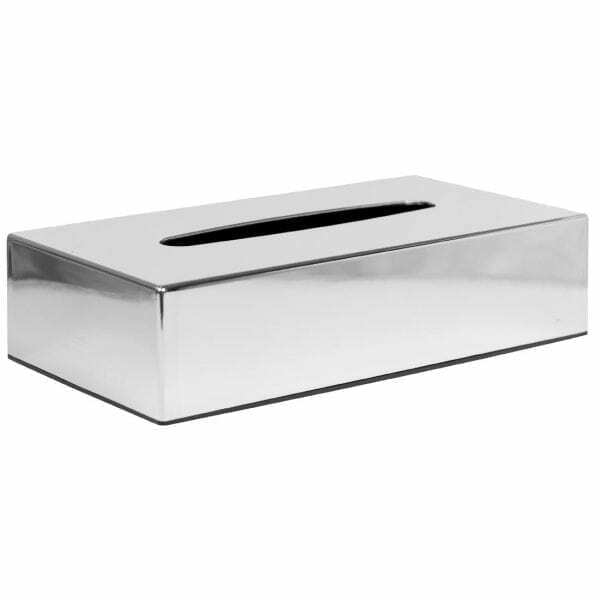 This striking cube shaped tissue box boasts a shiny chrome finish and plastic base to keep tissues away from moisture and spills. Add instant style and panache to any interior décor with these attractive and highly practical chrome tissue boxes, which are ideal for use in bathrooms, cloakrooms and reception areas in a wide range of establishments from information centres and dentists waiting rooms to hotels, resorts and sports clubs. Tissues sold separately (Our Code 1081).